When did the Collection begin? 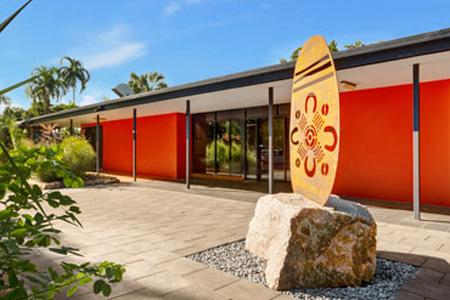 The Collection began with student and staff work from the School of Australian Linguistics (SAL, with the former Darwin College) and Centre for Australian Languages and Linguistics (CALL) at Batchelor College (now Batchelor Institute). 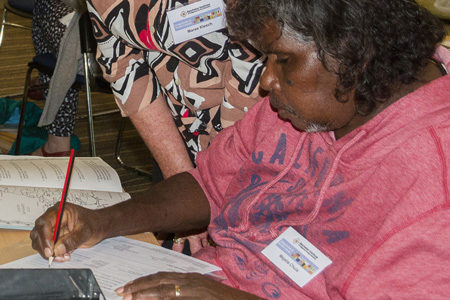 Students and staff of Batchelor Institute, as well as other teachers, linguists and language workers have deposited works in and about Indigenous languages over the past 40 years. 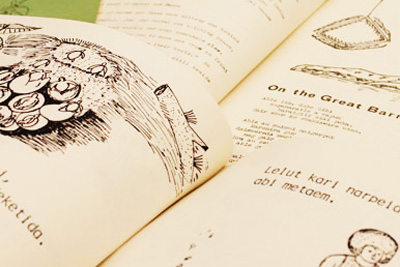 As the Collection grew, the archive came under the care of Batchelor Institute Library. 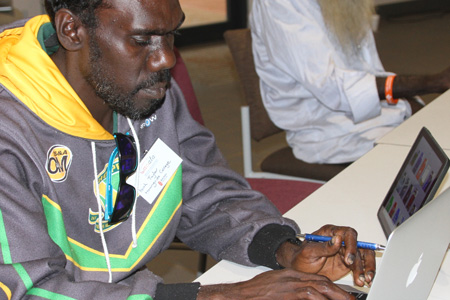 Both the Batchelor and Alice Springs campuses held items from the CALL Collection items. Now the entire Collection is housed at the Batchelor campus in an archive room. The Collection recognises the significant contribution of organisations, beginning with the founding of the Collection through SAL, the ongoing contribution of the community of Batchelor Institute students and staff, and offers from schools, libraries, language centres and individuals. 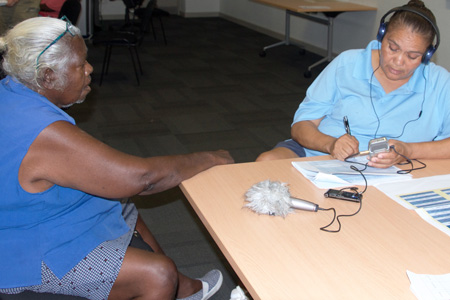 The CALL Collection acknowledges the Elders, Traditional Owners and Custodians of the language, land and culture represented in this archive; and the many people and communities who have contributed to the Collection and continue to do so, including language speakers, language workers, linguists, teachers and students. The materials in the Collection and on this website have been created by and with First Nations language speakers and workers. Many other people have contributed as linguists, teachers, Community Elders, advisors, students or project workers. Often people have made materials through courses or programs, for example at Batchelor Institute or School of Australian Linguistics, Literature Production Centres and schools, Summer Institute of Linguistics, or other universities and organisations, with the aim to look after languages and make resources for people learning language. See Past and Present. People still create, offer and donate materials to the Collection. See Offer Materials. The physical Collection is housed in an archive room at Batchelor Institute and is part of the Library. People can access materials at the Institute by request through the Library. This website is part of a digitisation project to help us look after works and make them more accessible, especially for those of you who want to find resources and work in your own language. Find out more at Website and digitisation Project. See Using this Website to find out how you can view and use the works on this website. If you can help us identify works, their creators or owners, please contact the Library. From time to time some of these items may be viewed under News and Events. Contact us if you think you can help.